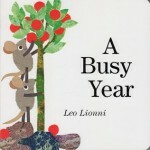 Ava and I have been reading A Busy Year by Leo Lionni . This book is a fantastic base for digging into both the seasons and months of the year, as well as a great story to work on story sequencing. I compiled some fun activities to reinforce these concepts. Printable on the way a tree (apple tree) changes during each season. 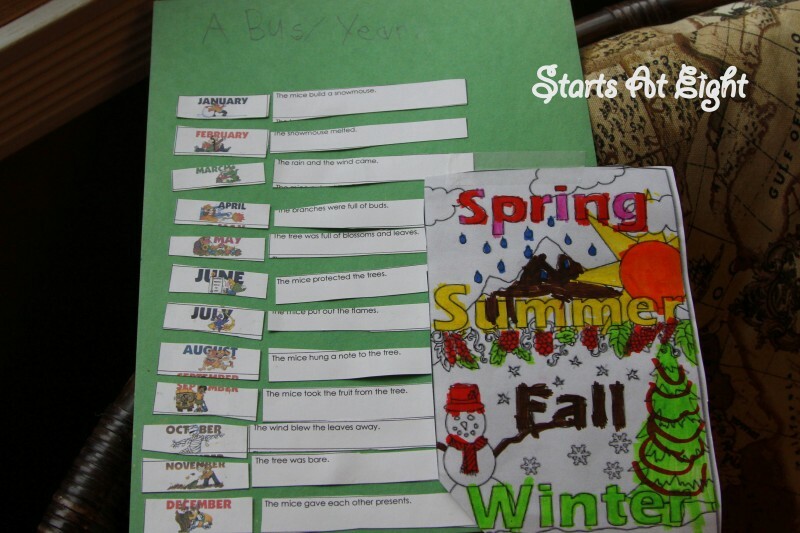 More Seasons Printables from Enchanted Learning. Cut and paste the scrambled months of the year in order. What is your favorite season or month? Why? Tell about a time when you helped someone. There are many other books by Leo Lionni. Ava and I read and enjoyed many of his other books. Fredrick was Ava’s favorite and she was thrilled that it was one of the ones done in the video Swimmy…and more classic Leo Lionni stories. Reading books ito kids s soooo valuable for all kids, even those in high school. I don’t have enough book shelves for all our books. We make all the Friend’s of the Library book sales… addicted. My fave site for reading is Homeschool Literature. They even have a book club for homeschooled kids!! Best wishes this Christmas season.